CHICAGO—Chicago’s Shedd Aquarium unveiled a new Water Touch Tank exhibit Wednesday, offering children of all ages the opportunity to observe and pet the beautiful marine liquid in its natural environment. 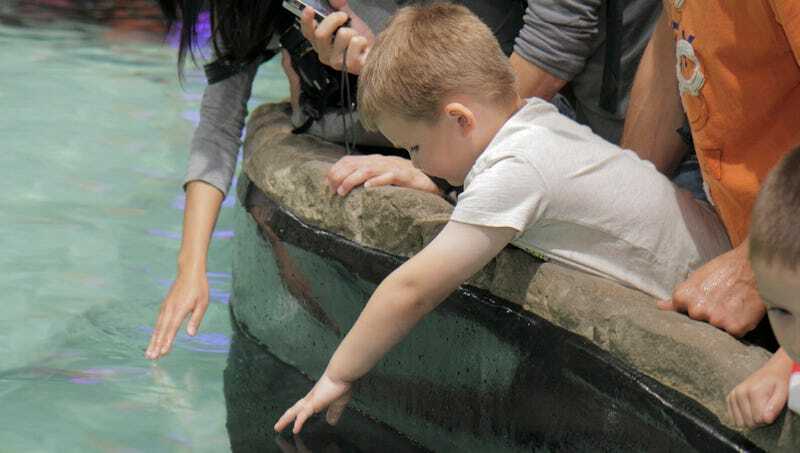 “Many of our young guests have already seen water, most likely in textbooks or during previous visits to the aquarium, but now they’ll be able to reach in and actually feel it running through their fingers. What could be more fun than that?” said Shedd Collections Manager Michelle Sattler, who noted that the tank is accompanied by an interactive map showing the many places on Earth where water is traditionally found, demonstrating its characteristic downhill-running method of locomotion, and why its habitats are shrinking. “Visitors will also notice that the tank is divided into sections where kids can pet water from warmer and colder regions, complete with the rocks and plants native to those ecosystems. But be gentle—Otherwise, you might get splashed!” Sattler added that the tank was open every day from 10 a.m. to 3 p.m., after which it would be closed for the common inorganic compound’s nightly grooming and feeding.